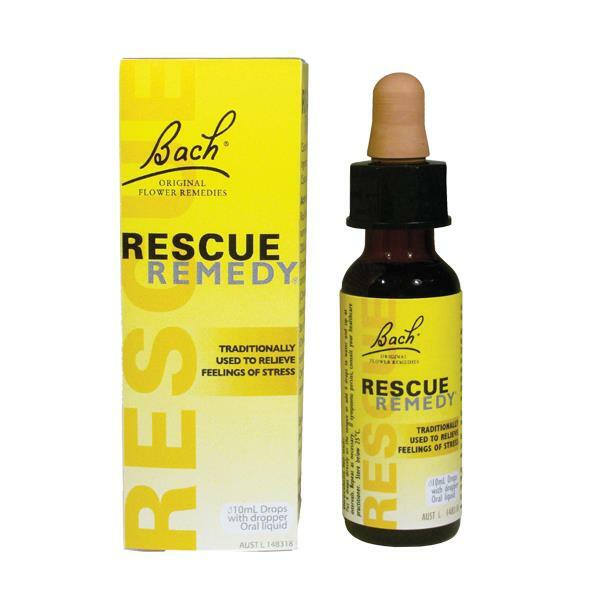 Nelson's Bach Rescue Remedy Drops combines the original flower essences discovered by Dr Bach in the 1930’s to provide support in times of emotional demand. Today, people across the world take comfort that RESCUE essences are by their side when they need to get the most from their busy day. Keep cool, calm and collected with Rescue Remedy by your side. Star of Bethlehem (Orithogalum umbellatum): For trauma and shock. Clematis (Clematis vitalba): For the tendency to pass out, and unconsciousness, being ‘far away’ and not present mentally. Cherry Plum (Prunus cerasifera): Fear of mind giving way, verge of breakdown, anger. Impatiens (Impatiens gladulifera): For irritability, tension and fidgety. Rock Rose (Helianthemum nummularium): For frozen terror and panic. The RESCUE formulation and the system of 38 Bach Flower Essences were developed by Dr Edward Bach, in the 1920s and 30s for emotional wellbeing and care for everyday life. Today people across the world take comfort that a RESCUE product is by their side when the need to get the most from their busy day. Whether it is a frustrating commute, approaching exams, a difficult day at the office, or even the demands of a busy family life, keep on top of the demands of your day with RESCUE. How is RESCUE REMEDY made? The flower essences used in RESCUE REMEDY are still made at the Bach Centre in Mount Vernon, Oxfordshire using the method developed by Dr Bach over 70 years ago. They are then sent to Nelson's factory in Wimbledon where they are diluted and bottled in a manufacturing facility to the highest quality standard.